A sharp-suited Taron Egerton (AKA Gary ‘Eggsy’ Unwin) features in the latest pair of images for Kingsman: The Golden Circle, a sequel that writer-director Matthew Vaughn believes is “crazier [and] funnier” than the first. Coming to us by way of Empire Magazine, these pictures profile Egerton’s unlikely hero and Agent Tequila, the cocksure cowboy agent to be played by Jump Street star Channing Tatum. He’s the ying to Eggsy’s yang, essentially, given Tequila is a multi-billionaire with a drinking problem – hence the nickname. In fact, as Vaughn revealed to Empire, the Statesmen will be housed up in a giant distillery in the heart of Kentucky, which tees up a nice counter to the Britishness of Gary Unwin and his well-tailored assistant, Merlin (Mark Strong). Tatum is just one of the new recruits to enroll for The Golden Circle, after 20th Century Fox plucked Jeff Bridges and the Oscar-winning Halle Berry to play fellow agents. The former will portray Agent Champagne, the fearless leader of the American spy organization who prefers to be addressed as Champ. Halle Berry, meanwhile, is attached to the part of Ginger, a tech aficionado who has much more in common with Strong’s PA than meets the eye. Will Kingsman 2 foster a romance between the two? Capping off the stellar ensemble are former Game of Thrones star Pedro Pascal and Julianne Moore, whose evil megalomaniac Poppy will terrorize both the Kingsmen and the Statesmen as the sequel’s primary antagonist. Described as “America’s sweetheart gone wrong,” there’s still no sign of Moore’s big bad, though we expect Fox will leave her character waiting in the wings until the film’s first trailer. What can we expect this time around? More of the same, according to Vaughn, just on a much bigger scale. Per Empire: “There’s an opportunity with Kingsman 2 to make it bigger and bolder and funnier and crazier.” Count us in. 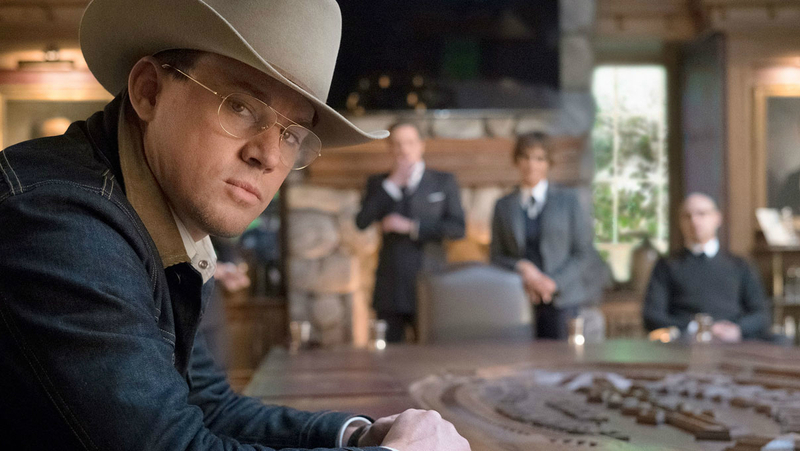 Kingsman: The Golden Circle will take the action Stateside on September 29th. Those in the UK will be able to catch Eggsy’s next adventure a little earlier when Matthew Vaughn’s action sequel opens on September 22nd.